Hotel Manager to Interaction Design. Band-Merch Slinger to Design Education. Seem like impossible leaps? They don’t have to be. User Experience Design is a rapidly growing industry. However, the career of a Designer can be a mystifying and amorphous one. Myths about the creative process as an opaque and innate ability abound in our society. Join current ACC UX Design students, recent graduates and professional alumni to view and hear how they connected skills and experiences from diverse jobs to become Designers. This workshop is intended to provide participants with personal guidance and a framework for understanding how to identify, analyze and connect their current and past work experiences and skills to those needed to get a job in the Design industry. By the end of this workshop, participants will: Utilize Journey Maps to identify relevant industry skills. 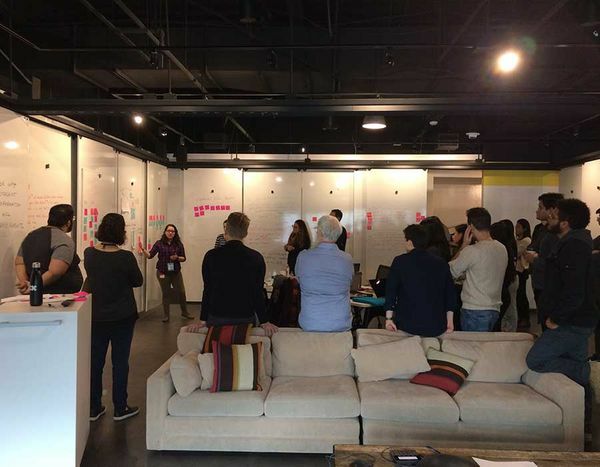 Connect skills from different experiences to those needed in Visual and User Experience Design. Critique their own skill and experience weaknesses. Recognize threats to ability to get a Visual or User Experience Design job. Able to articulate the skills and experience you have that apply to Visual and User Experience Design jobs. Provide a justification for how those skills apply to Visual and User Experience Design jobs.